Ashley Conner survived the devastating 2015 earthquake in Nepal. In its harrowing aftermath, her role changed as an Air Force public affairs officer to caring for the injured. She came home scarred by what she’d seen and it was only after she told her stories to her husband that she felt the weight lightening. Then, last October, tragedy struck her hometown. Hurricane Michael, a massive Category 4 storm, devastated Panama City and the Florida Panhandle. Conner wanted to help. She wished she knew how to operate a chainsaw or provide life-saving care for those in need. 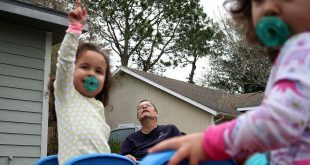 She did what she could: clear debris off the streets and began to hear her neighbors’ accounts of the storm. She realized the best way she could help was by telling the stories of survivors. 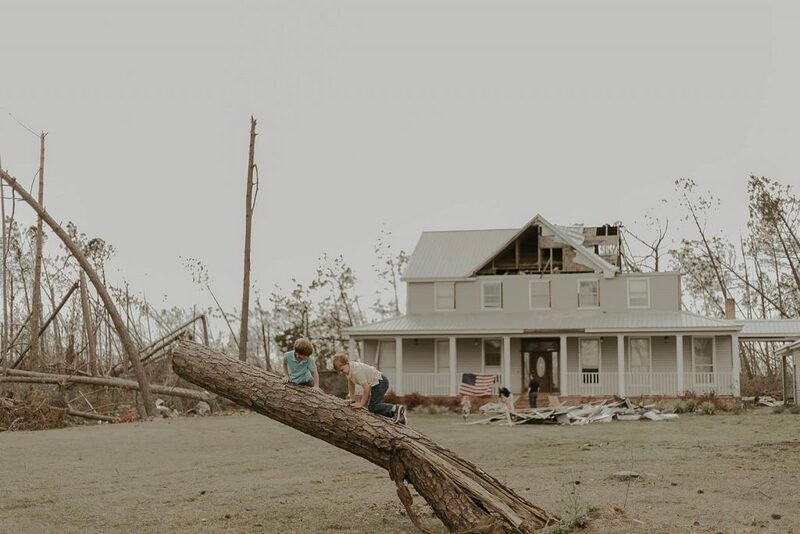 She launched a blog called “Memoirs of Michael.” On it are the stories and photos of people trying to put their lives back together after the storm. She posted on Instagram and Facebook and soon the blog gained popularity. About 4,700 people like the Facebook page. Many are Panhandle residents who chime in with comments. Conner didn’t include her byline at first, not wanting to diminish others’ stories with her name. She and her husband, Vaimana Conner, went to a children’s birthday party, where a mother told Vaimana that she’d read poignant stories of the storm on a Facebook page That’s Ashley, he proudly told her. The mother went up to Ashley and told her she felt connected with the people who were interviewed. The blog now has myriad tales of tragedy and triumph. One of the first people Ashley Conner interviewed was Lauren Spellman, a 38-year-old mother of two with another on the way. 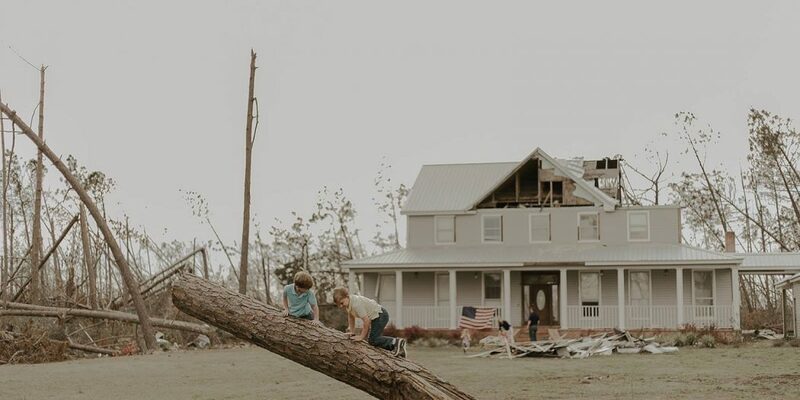 Spellman recalled the predictions for Hurricane Michael had not been so dire and, sluggish from morning sickness, she remained at her home in Panama City. Her husband came home from work, learned the storm had intensified and started throwing clothes in suitcases. They evacuated to Pensacola at the last moment. They found out they’d lost their home when a neighbor called. Spellman told Conner she was grateful her husband had persuaded her to evacuate. At least her family was safe. Things could be replaced. Since Conner shared Spellman’s story, she has posted about 40 other vignettes with 10 more in varying stages of completion. Cierra Camper, 19, who babysits the Conner daughters and owns a photography business, takes the pictures that accompany Conner’s interviews. Conner writes each story in first person. She talks about loss, fear and regret. A firefighter on duty during the storm was on the phone with his wife when their roof collapsed in on her and their son. The firefighter and wife cried as they told Conner their story. When she wrote it, she also cried. Other stories are more hopeful. “Hurricane Michael destroyed a lot of things in my life but it made way for new things. 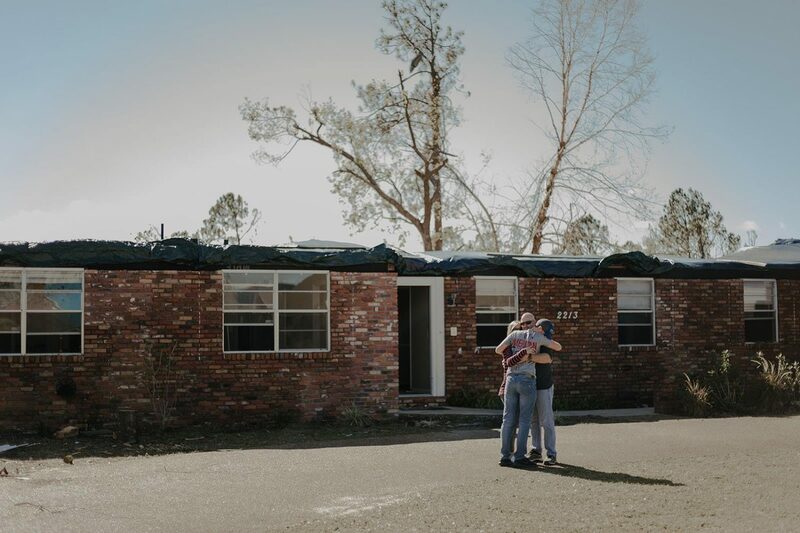 A better version of my life,” Conner wrote in one story about a man who lost his job after the storm. She invites people to email her if they want to talk. She treats each with the utmost sensitivity, sharing her questions before the interview. She wants each hurricane victim she interviews to feel comfortable. She tells them about Nepal and shares her own experience during Michael and how the torrential rains left her daughters’ bedrooms wet and moldy. Conner often checks in later with her subjects to find out how they’re doing. Did they find a place to live? Are their kids back in school? She spends 20 to 30 hours a week on the storytelling project. 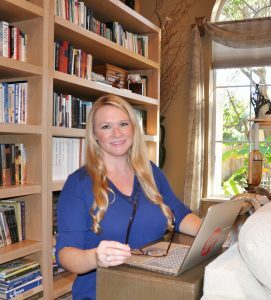 She ekes out time in between her day job as public affairs officer at a Naval center in Panama City and wakes up early before work to write, research or update her website and social media pages. Sometimes she has to get up from family dinners to take calls. After Conner shared the story of a nurse who was laid off after the storm, one of the blog’s followers reached out to the woman through Conner to offer her a job. “We’re a small community, and we all went through it,” Conner said. Perhaps one day, someone will notice her page and publish the stories. But that’s not the aim of the blog. “Whether it becomes a book or its a passion project, I want them to enjoy telling their story,” she said. She wants them to know that life will get better.